Aruba, aka Slatex Aruba, is a 1½-year-old red female born April 8, 2011. Her sire is Kiowa Sweet Trey and her dam is Slatex Eva. 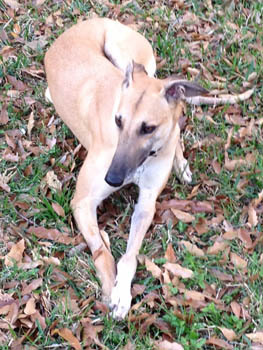 Aruba has no races to her credit on Greyhound-data.com, as she injured her foot in training. 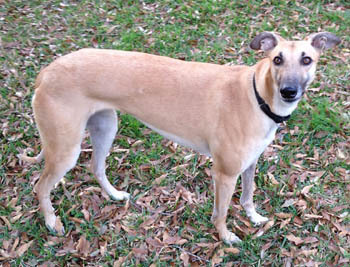 Her injury was surgically repaired at the Central Texas Veterinary Specialty Hospital at the end of November 2012. She is all healed up now and this exuberant girl is ready to go! Aruba has not yet been tested with cats or other small animals.